A country of elegance, timeless traditions and unparalleled atmosphere of sophistication, France never ceases to amaze its visitors. 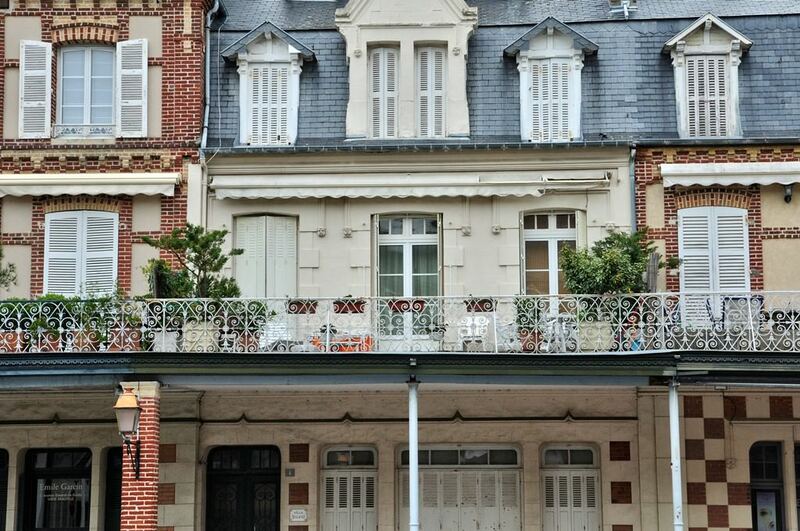 It’s hard to find someone who doesn’t know main landmarks of the country, but France has much more to offer. The country has countless landmarks, internationally famous places and signature cultural destinations. The most famous museum in the world is also located in France. Louvre changed its status several times during its long history. It was a royal residence, a prison, a fortress and even an academy. Nowadays, its beautiful halls exhibit thousands of priceless items. France is home to internationally famous Notre Dame de Paris Cathedral. During its long history, the cathedral was a witness of many important historic events. During many years the cathedral never ceases to amaze its visitors with its magnificent beauty and splendour. However, when asked about Paris or France, most people will name another landmark – Eiffel Tower, which is located in the heart of the capital. There is an observation deck on the top of the tower, from which visitors can enjoy stunning panoramic views of Paris. 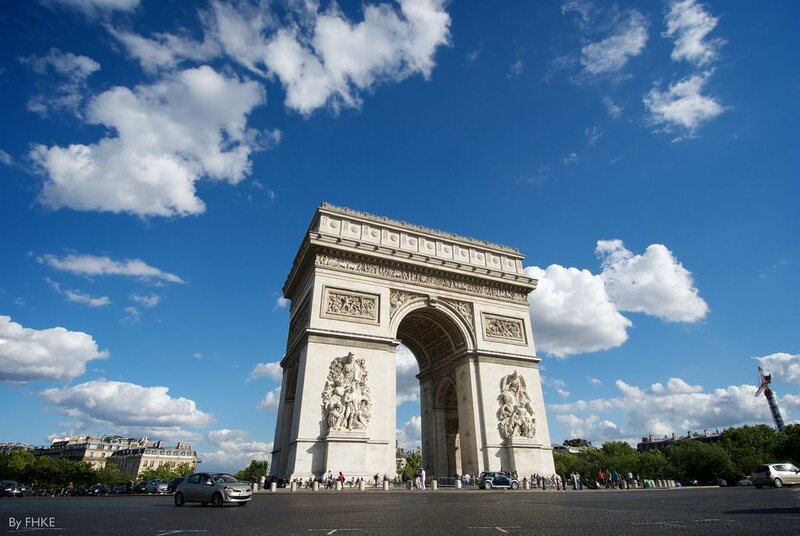 Arc de Triumph is one more important architectural landmark in Paris. The terrace of the arc offers amazing view of the Place de l'Étoile. Moulin Rouge Cabaret has also become an important landmark of the city. The cabaret was founded in 1889, and since that time its performances have been among the most fascinating and unforgettable shows in Paris. Artists never cease to amaze visitors with their original performances, skills and luxurious costumes. Tourists with children are recommended to visit Paris Disneyland. This is a large entertainment complex, which territory is divided into several themed zones. Thrilling rides, characters from favourite fairy tales and cartoons, movie theatres, shops and cafes await visitors in every park zone. It is also possible to see main places of interest in France during a cruise on Seine. 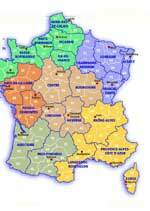 The country located on the territory of present France was first mentioned in the times of the Roman Empire. 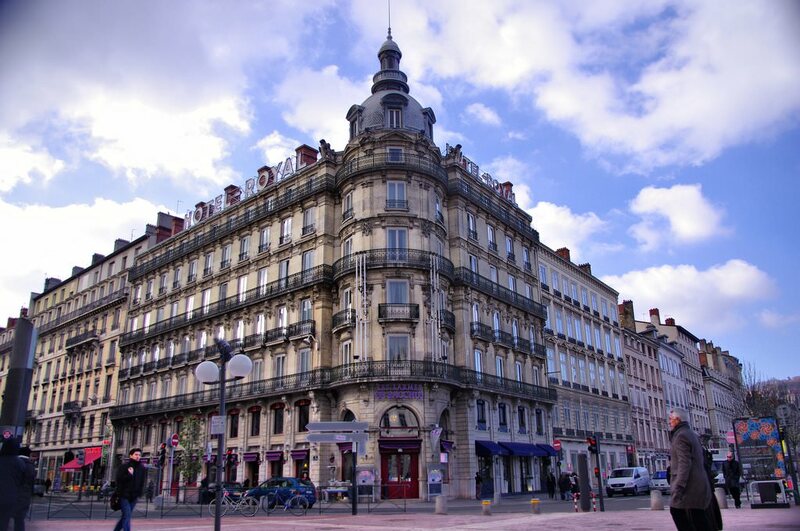 It was conquered by Romans in the 1st century BC and was called the province of Gaul. In the 5th century, Gaul was conquered by Franks. Francia flourished in the late 8th century. In 843, the Kingdom of East Francia was officially formed. The territory it covered almost matches to the territory of modern France. The country gained its present name in the 10th century. Multiple forays of Vikings, rearrangement of the territory, the period of factionalism, the Hundred Years' War and the epoch of Napoleonic wars – France had undergone all these times for the next 800 years. One of the latest significant historical events for France was the adoption of the fifth Constitution in 1958. Modern travelers associate France with sophisticated culture and a diversity of entertainments. 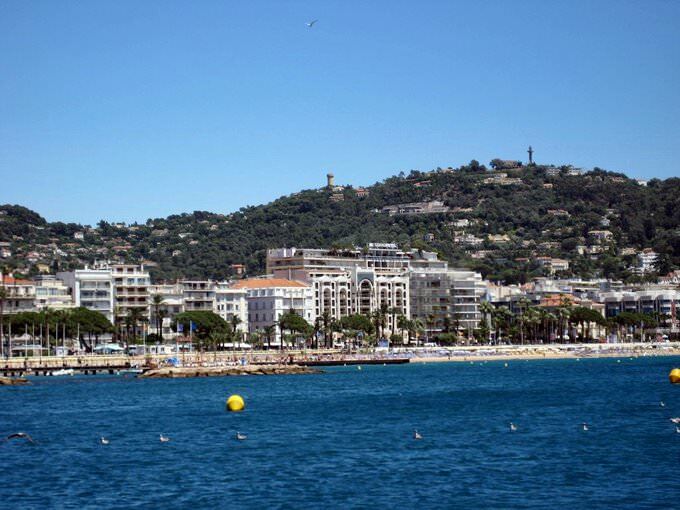 This country is a place where Festival de Cannes and other world-famous festivals permanently take place. There are enchanting beaches on the Cote d'Azur and fashionable ski resorts. A lot of people choose Bretagne for beach recreation. There are not only beautiful beaches, but also thalassotherapy centers that are famous even outside the region. Fans of upscale recreation prefer vacationing on the Cote d'Azur. It is famous for its prestigious hotels, restaurants and entertainment venues. Luxurious ski resorts, among which the leading position is taken by Courchevel and Chamonix, are notable not only for their excellent ski routes, but also for flawless service. These resorts resemble a real winter fairy tale. People come here to admire wonderful mountain landscapes, walk along snowy forests and enjoy comfortable traditional French chalets. On 15 July, the Bastille Day is annually celebrated in France. This national holiday is considered as one of the most luxurious and interesting ones. The most significant events take place in Paris. On festive days, there are beautiful military parades and interesting street performances in the streets. The festive day ends with grand fireworks in the vicinity of the Eiffel Tower. This article about iconic landmarks and sights of France is protected by the copyright law. You can re-use the content, but only under the condition of placement of an active link to www.orangesmile.com. A popular Sports and Recreation Center is situated in Saint-Cloud near Paris. This building attracts tourists with its unusual glass decoration. 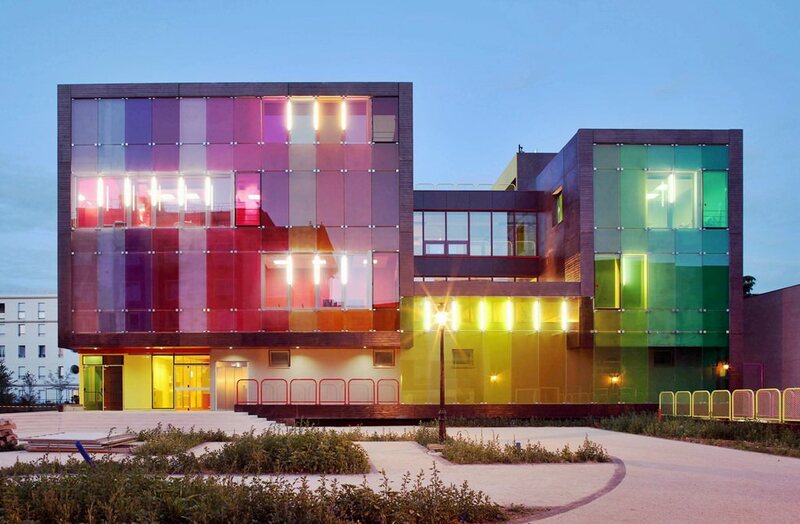 The façade of the two-stored building is decorated with rectangular in shape colourful classical glass panels. At night the building has a wonderful lightning that underlines the uniqueness of this sports centre. Sports and Recreation Center is made in a low-key cubism style. At the same time, it doesn’t look severe and depressed. 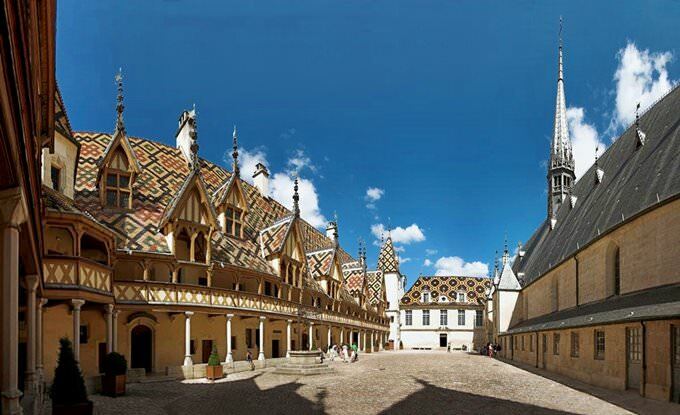 Visitors of Louvre have a great opportunity to enter the Napoleon yard. 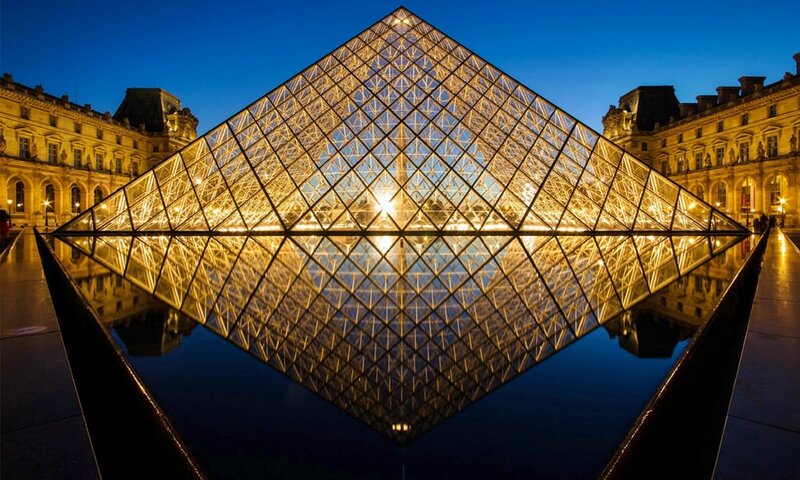 There has placed an unusual and interesting construction – Pyramide du Louvre. 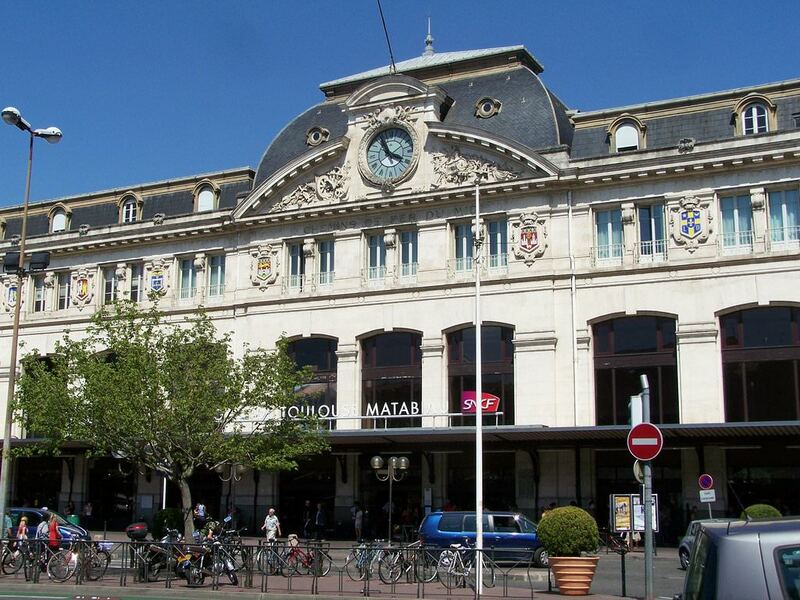 For Paris, it became one of the main symbols of the city. The pyramid has begun to build in 1985 and finished in 1989. The idea to build this wonderful pyramid came to a famous architect Ieoh Ming Pei. Today this wonderful pyramid is the entrance to the museum. 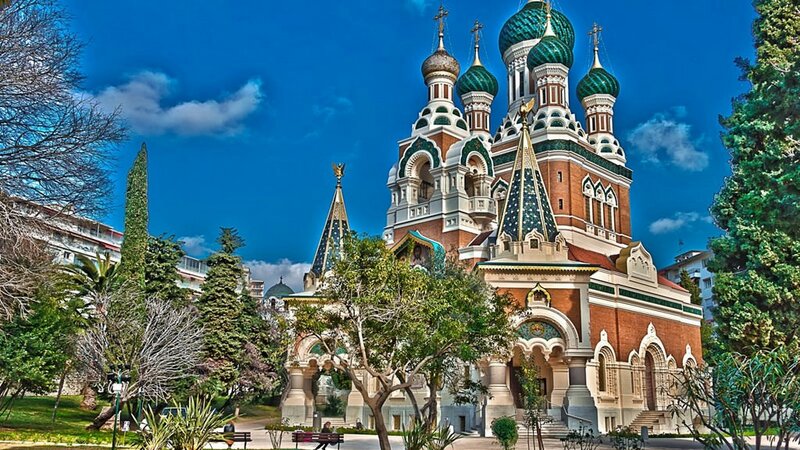 Orthodoxe Russe Saint-Nicolas Cathedral is one of the most interesting places in Nice, France. In was built in 1903 and was finished in 1912. 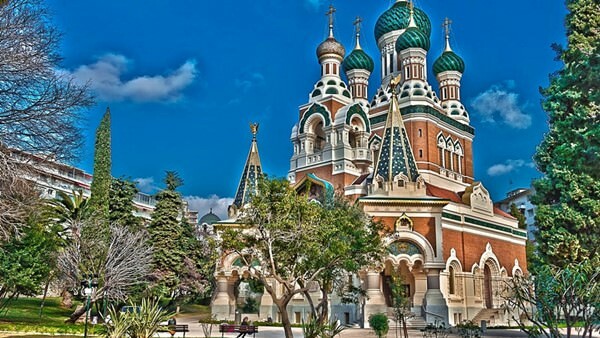 The cathedral is made in a style that is typical for Moscow five-domed churches of the 17th century. The main material was a light-brown brick. For elaboration, there was used a marvellous rose granite and a nice blue ceramic tile.